Is your nonprofit's brand missing a piece of the puzzle? Do any of these brand related problems sound familiar? Lack of clarity—knowing who you are, who your constituents are, and who your competitors are. Have you ever heard a donor or an employee describe your organization and think, “hey, that’s not who we are,” or “that’s not what we do”? Is your organization lacking an “ideal stakeholder”? Do you ask, “who’s getting the donations we’re not?” If so, your brand may be suffering from a lack of clarity. Lack of continuity—obsolete, confusing, and conflicting messages. Lack of continuity is confusing for potential donors. Not only that, starting multiple projects with different vendors is time consuming and expensive. Such efforts often result in a patchwork of print and electronic communications. Disjointed marketing materials indicate a of lack of continuity and can hurt fundraising efforts. Lack of connection—what to say, and where and when to say it. Not knowing where your donors or beneficiaries congregate, what they think, and how to communicate with them can hamstring your nonprofit organization. Unless you can identify and connect the “dots” that make up your marketing matrix, you are suffering from a lack of connection. Most nonprofit organizations are experts in their field, but aren’t trained in branding. Fundraising, marketing, and raising mission awareness all critically rely on a strong brand. 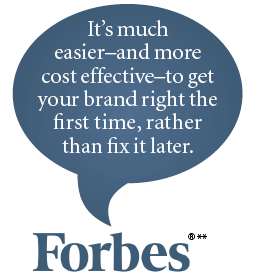 Most nonprofits can’t afford to hire in-house branding experts. Even those who can often choose not to. How much time are you willing and able to devote to brand management? Many large nonprofits pay a lot of money to develop and maintain their brands. They hire elite marketing specialists and award winning design firms. You may not be able to do these things, but you can learn from their experience, and you can access many of the tools and techniques they use. Brand management does not necessarily require a significant financial investment or specific expertise…it does require a willingness to adopt a new brand management mindset.